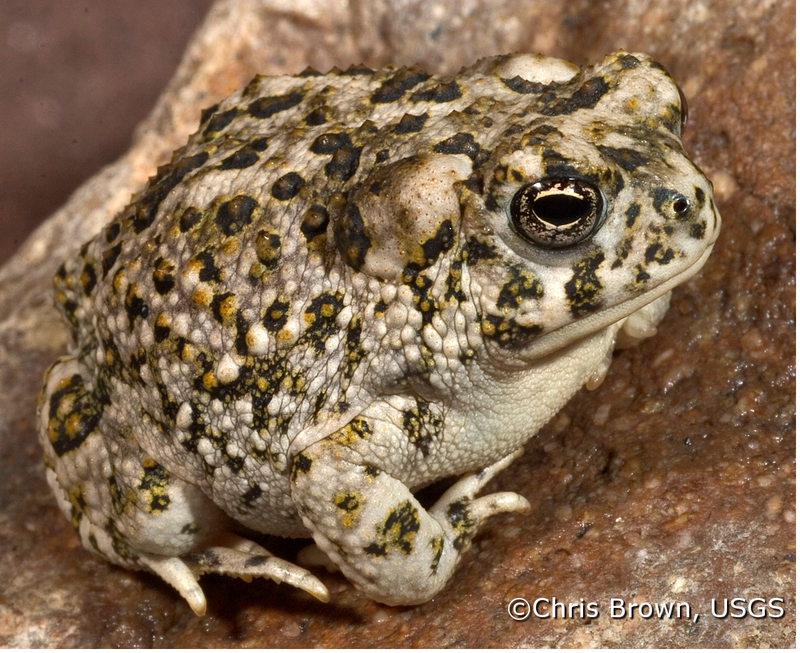 Author(s):Meyer, Kathie; Ervin, Edward; Madden-Smith, Melanie; Hathaway, Stacie; Fisher, Robert N.
Arroyo Toads (Bufo californicus) in Southern California; Findings and Trends from 3 to 10 years of Population Monitoring. Author(s):Madden-Smith, Melanie; Atkinson, Andrea; Fisher, Robert N.; Danskin, Wesley R.; Mendez, Gregory O. 2005 Baseline Surveys for the Arroyo Toad (Bufo californicus) in the Sweetwater River Channel, San Diego County, California. Author(s):Madden-Smith, Melanie; Ervin, Edward; Fisher, Robert N.
Author(s):Schuster, Sara L.; Fisher, Robert N.; Hathaway, Stacie; Backlin, Adam R.; Hitchcock, Cynthia J. Distribution and Status of the Arroyo Toad (Bufo californicus) in the San Diego MSCP and Surrounding Areas, 2002-2003. Author(s):Ervin, Edward; Hathaway, Stacie; Fisher, Robert N.
Author(s):Ervin, Edward; Fisher, Robert N.
Author(s):Brehme, Cheryl; Atkinson, Andrea; Fisher, Robert N.
Author(s):Brehme, Cheryl; Schuster, Sara L.; Rochester, Carlton; Hathaway, Stacie; Fisher, Robert N.
Author(s):Turschak, Greta; Brehme, Cheryl; Schuster, Sara L.; Rochester, Carlton; Fisher, Robert N.
Author(s):Brehme, Cheryl; Turschak, Greta; Schuster, Sara L.; Fisher, Robert N.
Author(s):Brehme, Cheryl; Matsuda, Tritia; Fisher, Robert N.
Author(s):Mendelsohn, Mark; Madden-Smith, Melanie; Fisher, Robert N.
Author(s):Backlin, Adam R.; Kahacza, Zsolt; Fisher, Robert N.
Author(s):Brown, Chris; Brehme, Cheryl; Hathaway, Stacie; Fisher, Robert N.
Author(s):Case, Ted J.; Fisher, Robert N.
Author(s):Brown, Chris; Fisher, Robert N.
2002 Understanding the Demographics of Arroyo Toad (Bufo californicus) Reproduction to Develop Management Strategies. 2003 Using the ARMI Metric, Proportion Area Occupied, for Monitoring Arroyo Toads in Southern California.